RoofLocators.com proudly announces a new service area in Panama City, Florida. Residents in need of roof repairs can now utilize RoofLocators.com to receive 3-5 repair bids from just one visit. Roofing Repair Referral Agency RoofLocators.com has expanded once again. The firm now offers their streamlined repair bid process to residents in and around Panama City, Florida. Homeowners in this area that find themselves in need of residential or commercial roofing repairs will now have access to a one-time consultation & inspection that generates 3-5 no pressure bids from thoroughly vetted local Panama City FL roofing companies. RoofLocators.com only works with roofing companies that successfully complete it’s five point verification process, which includes having a local address, documented state registrations and licensing, and proof of up-to-date insurance. Companies accepted into the RoofLocators.com Preferred Vendor program have an excellent history of customer service and satisfaction and competitive pricing in the local market. The consultation process requires just one visit from a RoofLocators.com representative, during which they will gather all necessary information about the resident or homeowner, and perform a property inspection to assess both measurements and damages. 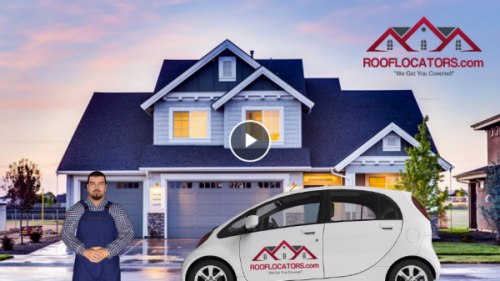 Instead of 5 visits from 5 different companies to attain 5 bids, RoofLocators.com simplifies this process for homeowners by turning just one consultation into those same 5 bids, but without the added pressures of salesmen being on location and involved in the process. There is no cost to the homeowner(s) for RoofLocators.com services, and in fact, using this service can result in lower overall bids and costs than a traditional bidding process. RoofLocators.com is compensated by their Preferred Vendors, at a rate that is generally below normal sales representative commission levels. This reduction in costs allows companies to submit lower bids than would be possible with normal commission structures. In addition, commissions paid to RoofLocators.com are the same, no matter which contractor you choose to hire, meaning there’s truly no pressure in the process from company representatives.